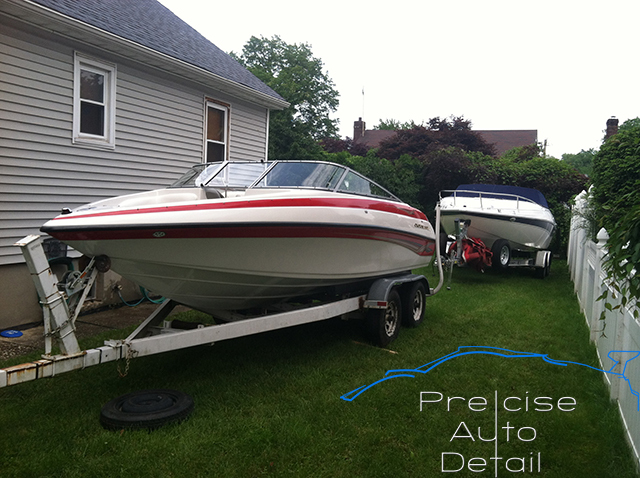 Precise Auto Detailing allows you, the boat owner, to keep your boat/yacht looking like new all year long! We specialize in boats at any length, and we pay attention to every detail to keep your boat/yacht looking better than the day you bought it. Precise Auto Detailing has been known to clean every inch to perfection -we take pride in our work and will always work with you, our customer, by getting you the results you want with your boat. Our goal is to establish a business relationship with our customers that will last a lifetime. 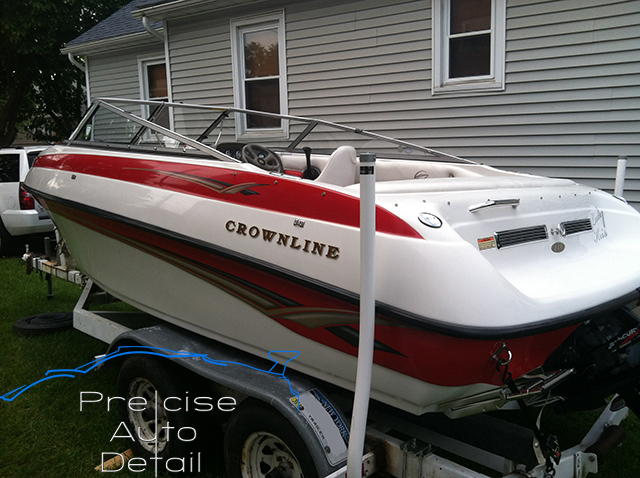 Precise Auto Detailing offers an extensive boat detailing program, whether it be an express wash down and chamois dry or a complete buff and polish. We can even customize a program for your boat to keep it always looking new, while protecting the paint work and gelcoat from the harsh sun. All you’ll ever have to do is jump on board and enjoy your boat. Today, over 63% of boats contain oxidation (a white, chalky substance which occurs from the sun, salt, corrosion of the surface, and a lack of maintenance). Oxidation requires removal by buffing with a polishing compound in most cases, before marine wax can be applied properly. Condition: For all the maintenance you need year round on your boat! Condition: For Bi-Weekly maintenance you need year round on your boat! Condition: For boats that are new or in good condition. If you have had a full detail we recommend this service every 3-4 months as this keeps the protective layer of wax on the boat. Remember that the exterior elements sun, water etc. can break down this layer in 6 months and start destroying your gelcoat or paintwork. Condition: For when your boat has lost its shine. The surface becomes porous and collects dirt making it hard to keep clean. Condition: For when your boat has lost its shine. The surface becomes porous and collects dirt making it hard to keep clean. There is a haze on the boat and it and looks chalky and the paint is faded.